I enjoy doing some type of divination on the new and full moons. For a good while I have been using my Sacred Path Cards. Today I wanted to give my new Goddess Tarot a spin. This deck has meaning because a dear friend gifted it to me and I enjoy exploring the Goddess energies. When I remembered she gifted me my first oracle deck, I realized that all of my cards have been gifted. All except for the Sacred Path cards that I purchased as part of a Grad school assignment on Native American culture. It is so interesting that so many people have sent cards my way. Could it be a sign of some kind? Most definitely yes! So I concocted a 3 card spread for today’s full moon. I shuffled the cards and set my intention for illumination on this full moon period. Here is the spread ~ First card is the Sun, Second card is the Moon, and 3rd card is the integration of both energies. Meaning: The full moon ( yes, full moon!) 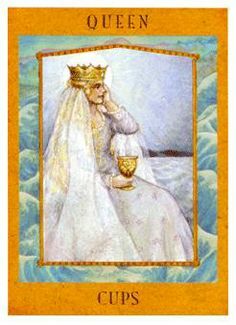 is a halo around the crown of the majestic Queen of Cups. Her regal mysterious being inspires people to look within to inspire their souls. Mastery of all that Venus and the suit of Cups represents ~ art, beauty, intimacy, love. The ability to express love to nurture others. An older woman who inspires others to live harmoniously. 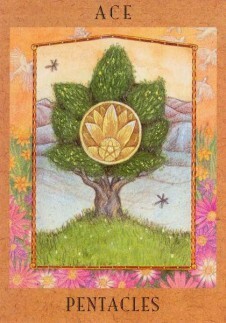 Meaning: A lush tree bears a fantastic fruit – a single golden pentacle. It is decorated with symbols of the lotus and the five-pointed star. The purest evocation of prosperity, fertility, and generosity. The beginning of a new phase of life that promises all of these things. Meaning: After overindulging, the woman sits beneath a tree, hoping to ground herself after the excitement of intoxication. Four cups rest before her but she has drunk enough. Too much of a good thing. Taking something for granted – love, talents, beauty. Discontent or boredom. I have to say the cards were clearly in the flow. Cups for Pisces, Pentacles for Virgo and Four of Cups for integration of Water and Earth ( 4 = building a foundation with Cups = water). On a more nuanced note, I see this lunation as the marriage of the Pisces/Neptune ( the higher octave of Venus) with Virgo/ Mercury with a kick ( Mercury is in Aquarius ruled by Uranus in Aries that is headed towards the last of 7 Pluto Uranus squares on March 16th). This marriage is quite Venusian as Venus is currently conjunct Uranus and square Pluto. The integration is to be receptive to the energies but to maintain a balance. Know when it is time to regroup and assimilate all you have received. I can see how much of this reading applies to me and I hope it offers guidance for you as we ride this cosmic roller coaster. I am reminded of the practices I initiated in 2014, radical gratitude and acceptance of the ultimate love of the universe. The force is with us, never against us. We have all that we could ever need and more. It is all about waking up and increasing our awareness of all that lies before us. 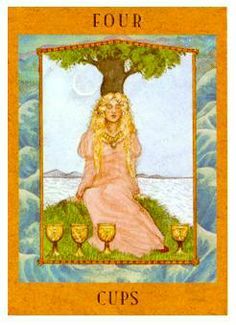 But the days are growing longer and its warming up.. We are all so wanting the Spring warmth to brighten our days..
Queen of Cups also our court card. Was an interesting full moon. Yes Sindy, it is our card! 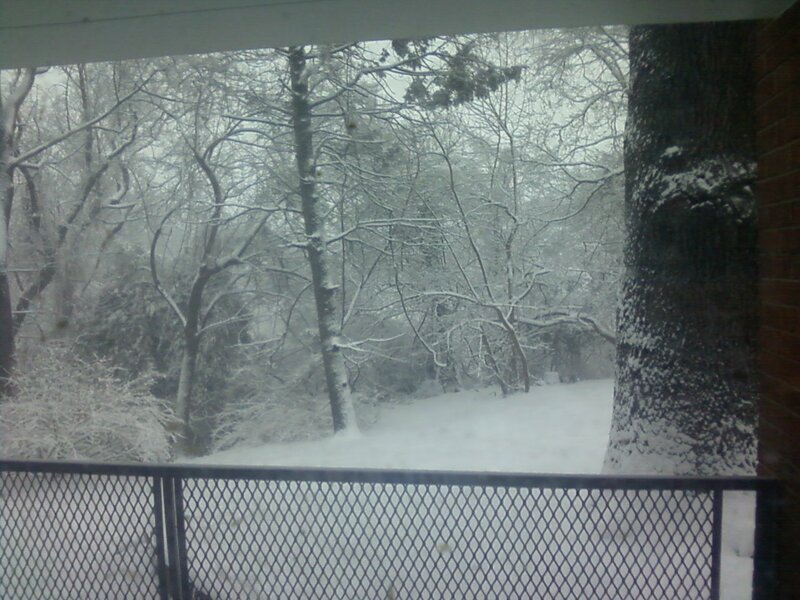 Mine was very snowy! Great reading, so in synch! Great spread and reading! Happy Full Moon! I’m enjoying your posting momentum 😀 Happy Full Moon in Virgo! Blessings to another sacred gift of meeting in the middle.